the Mobal® International Cell Phone. Mobal’s World Phone costs just $59, and can be used in 170 foreign countries. Calls are charged per minute, there are no monthly fees or usage minimums. The Mobal World Phone is the convenient option for people who don’t already have a usable phone. It costs just $35 and works in 170 countries and comes equipped with a SIM card. The lowest price I have found for a Travel Phone is through Mobal. There are no monthly or annual fees and unlike prepaid SIM cards, call charges are per minute in $US and are debited from your credit card. 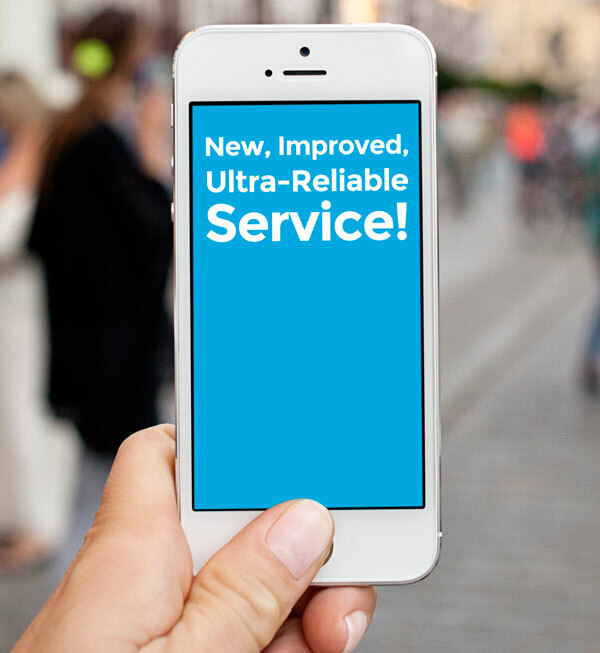 With our new, ultra-dependable service, there's no need to worry about your cell phone service - simply concentrate on enjoying your trip! "The Mobal International SIM Card is convenient, reliable and offers great coverage in over 190 countries - all for just $15"
Now get FREE US shipping on all SIM-only orders – for a limited time only! All of our SIMs/Phones work in the countries listed below. All charges are billed in US dollars per minute. The Mobal® rates shown above apply both to calls made to and from cell phones and landlines. You order your World Talk & Text Phone by credit card securely online or through our call center. Purchase and shipping costs are taken at the point when your order is confirmed. You then use your World Talk & Text Phone and the charges for the calls are taken from your credit card as and when we receive the call data from the networks. (These charges will be applied to the same credit card that you use to purchase your phone. You can change the card later using your online "my account" service). When you finish using your World Talk & Text Phone, and all your outstanding calls have been billed, you will have no other charges, until you need to use your World Talk & Text Phone again on your next trip. You'll be able to review your account and statements at anytime using your online Mobal My Account login, which will be issued to you after you've purchased your new World Talk & Text Phone. To protect you from unexpected high charges, Cellular Data is permanently disabled on your World Talk & Text SIM. 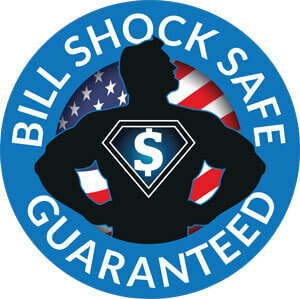 We guarantee that we will never bill you for data charges so you can never return home to bill shock! If you have a WiFi-enabled device, you can still connect to WiFi to browse the internet, email, use social media, etc, etc. If you are not totally delighted with your Mobal World Phone for any reason, you can take advantage of our Money-Back Guarantee and return it for a full, prompt, no-hassle refund. Buy any Phone Package now and get a free international travel adapter set, worth $18, so you can charge your phone in any country in the world. The set is essential for any world traveler. This offer ends soon, so buy now to avoid disappointment. Are you right for Mobal ? Do you match the perfect World Talk & Text Phone customer? Before you choose Mobal, make sure it's the right service for you by seeing if you match the type of traveler we've developed this service specifically for. We value your call quality as our top priority. After all, if your phone has problems when you need it most, what's the point in having one at all? Many other services focus on getting the cheapest rates available, but this always compromises the quality of the service as to get lower rates, the technology behind everything always has to be botched or over-complicated. At Mobal we always look to get you the best deal, but never when it compromises your ability to place calls, leaving you stranded. Second to having the best quality service, you want to be able to use your phone easily too. New gadgets can be complicated at the best of times, especially when you have to overcome the complexities of overseas dialing codes and unfamiliar telephone number formats. At Mobal we've chosen what we believe is the easiest system, which works in the same format wherever in the world you are — you never need to fiddle or set up your phone differently if you visit different countries — your World Talk & Text Phone works seamlessly as you cross borders. YOU WANT PEACE OF MIND YOU'RE DEALING WITH AN ESTABLISHED COMPANY. With Mobal it doesn't matter if you travel every month or every few years. Because you pay only for the calls you make, and NO extra fees or minimum usage requirements, the cost of ownership is the same regardless of your travel plans - ZERO - when you're not using the phone it doesn't cost you a penny. That means if you bought the World Talk & Text Phone for emergencies only, and never needed to make a call, it wouldn't cost you anything but be there ready for when you do need. YOU TRAVEL FOR BUSINESS, LEISURE OR BOTH. The World Talk & Text Phone is perfectly suited to both types of travel because our number 1 focus is on the quality of calls. So assuming you value actually being able to place your calls when you need to, then the World Talk & Text Phone's perfect for you. Plus, you get free itemized billing, so you can always see exactly what you are paying for. That's great news for all kinds of travelers. So, if you can identify with those characteristics, you can be sure that the World Talk & Text Phone is the right service for you! Plus, you get a Money back guarantee, just in case you were wrong! International Cell Phone rental is geared to benefit the rental companies and not you! Just see how after two weeks renting, you could easily buy The World Talk & Text Phone and keep it for life! Getting ready to go abroad is a busy time, but The World Talk & Text Phone is one thing you don't have to worry about. If you rented a cell phone every time you traveled you would have to deal with all the hassles of the rental procedure; the deposits, deliveries, returns and credit checks — the last things you need to think about! Instead, The World Talk & Text Phone is very different. In between your trips, you can keep it in your drawer until you need it. When you do need it, you can just charge it up, switch it on, and you're ready to go. Because there's no commitment to pay anything except for your calls, your new phone will not cost you a cent until you use it again on your next vacation. Because you only pay-per-call, and there are no other charges, The World Talk & Text Phone is perfect if you travel every month and need to use it everyday, or just once a year and need it in case of an emergency. A word about local SIM cards. You may have read that the cheapest way to use cell phones abroad is to buy local SIM cards so you can pay local call rates, but have you overlooked the actual cost to buy a cell phone and local SIM cards in the first place? For a trip to Europe. As you can see, with local SIM cards you have to buy a new one for each country you travel to, the costs can add up fast. And that is if the country you are traveling to even provides a local SIM card service. The World Talk & Text Phone gives you the best coverage in the world, with service in over 190 countries! Other disadvantages of local SIM cards that you may have overlooked. When you buy The Mobal World Talk & Text Phone you don't face any of these problems. 1) Who Is Mobal ? 2) Will The Call Quality Be Any Good? 3) Will The World Talk & Text Phone Work Where I Am Going? 4) Are There Any Hidden Charges? 5) How Am I Billed For My Calls? 6) Will The World Talk & Text Phone Be Too Complicated To Use? 7) Is The World Talk & Text Phone Too Good To Be True? 8) What Are The Shipping Details For The World Talk & Text Phone? 9) What kind of phone number do I get? 1. Who Is Mobal ? c) You're in expert company too — the World Talk & Text Phone has been endorsed by major travel and media experts like TIME magazine, The Wall Street Journal, The New York Times, The Washington Post, MSNBC, and The Travel Insider. As you can see, we're a well-established company with a proven reputation. I was worried is Mobal trustworthy? Many cell phone vendors are quick with the bait & switch, and are not straightforward with charges. Your salesman was very clear about the costs and left the decision to me. That speaks well for your company. 2. Will The Call Quality Be Any Good? As you've read above, using the World Talk & Text Phone you'll actually have access to more carriers in each country than even the locals will. What this means for you is that when you use your World Talk & Text Phone, it will automatically log onto the strongest signal to make your call - so your World Talk & Text Phone will probably have a better quality connection than the people around you! My phone worked great no matter where I called from…the plane right after landing, my hotel rooms, or anywhere in either city. The phone was easy to use, and the reception was very clear. It sounded like I was calling from my home phone…no static, no cutting in and out, etc. Just nice, clear conversations with my family. 3. Will The World Talk & Text Phone Work Where I Am Going? The World Talk & Text Phone has perhaps the best coverage of any international phone service. Not only in the number of countries it works in, but also the number of carriers it connects to in each country - in fact, you'll get better coverage than many of the locals get, as they will be stuck using just one carrier. Basically, if a local is able to use their cell phone, then you'll be able to use yours. We first used it to call the U.S from Ethiopia. And it worked beautifully! Even though Ethiopia was listed as a country with coverage, I just could not believe that it would actually work there. We called our daughter (and families) in Montana and in Wisconsin. I called United Airlines in the U.S. to work out a flight schedule problem. It all worked. There are no hidden charges with the Talk & Text World Phone. The only costs associated with the Talk & Text World Phone. are the purchase price, your delivery option and then the calls you make when traveling. There are no extra monthly, yearly or minimum usage charges. Zip. Nada. Nothing. I chose the Mobal international cell phone because of the combination of lower call charges, phone price and no monthly fee. All of the features and options made for a perfect alignment for a great product. 5. How Am I Billed For My Calls? The price that we quote for the call charges is the final price you'll pay per minute. It's a simple as that. No other charges will get added to the price we quote. In fact, we're one of the only international phone companies that can tell you exactly what every possible call on your cell phone will cost. When you're using your Talk & Text World Phone, your charges for the calls are taken from your credit card as and when we receive the call data from the networks. (These charges will be applied to the same credit card that you use to purchase your phone. You can change the card later using your online "my account" service). I was worried about the truth in charges, both incoming and outgoing but it seems to have been as described, and I was very pleased. Pleased enough that I recommended the Mobal international cell phone to a friend who is now carrying one around India. 6. Will The Mobal Talk & Text World Phone Be Too Complicated To Use? Being easy to use was one of the most important things when we developed the Talk & Text World Phone. - when you're abroad and need to make a call it should be as easy and stress free as possible. We take extra special care to make sure we only supply handsets that are easy to use, without too many extra functions that you don't need. Plus, when you receive your World Talk & Text Phone you'll not only get a guide book, you'll also get a very clearly explained Quick Start Guide, so even if you consider yourself the most technophobic person in the world, you'll still be able to use your World Talk & Text Phone. After recommending Mobal to an elderly relative, I was worried about her being able to work the phone. She is not easily taught to use "modern gadgets" as she calls them, but she said I "love" my International cell phone and am delighted I purchased it. 7. Is The World Talk & Text Phone Too Good To Be True? Instead of thinking the World Talk & Text Phone is "too good to be true", you need to think of it as "Mobal has thought about every feature I need from my cell phone, and delivered it". And this is the truth. The World Talk & Text Phone has been developed over a number of years based on feedback and experience of travelers like you using it. That's how today the World Talk & Text Phone has become the service that it is. I shopped on line for a phone for my daughter to use while she was in Europe. After reading several endorsements from different sources, I decided to give the 'too good to be true' Mobal phone a try. I am a cynical shopper, especially with phones, but must report that the connection quality was the best I have ever experienced - not a single dropped call, no cutting in and out, I spoke to my daughter in Italy like it was around the corner! I was very pleased. 8. What Are The Shipping Details For The World Talk & Text Phone? 9. Your Mobal World SIM comes with a UK phone number. Your phone number works wherever you are in the world so your friends, family and colleagues always dial the same number to reach you! Are you right for Mobal? Mobal's GSM World Phone can be used in 190 foreign countries. The Mobal GSM International Cell Phone has a lifetime phone number with no annual fee. So what is the catch? There is no catch. And it gets better. The phone service can work in over 190 countries. This is a uniquely good deal. I have traveled extensively throughout the world for over 25 years and have flown over 3 million air miles. I must say that the purchase of your Mobal International Cell Phone has been the biggest improvement in my travels, ever. Also, Mobal is one of the few companies that I call where a live person answers the call and answers my questions every time! I have told all of my traveling friends about it. Mobal's GSM World Phone works in over 190 countries with no minimums, fees or service charges. You pay only for calls you make. The Mobal World phone comes highly recommended by seasoned travelers. The Mobal International Cell Phone is worth its weight in roaming fees if you travel internationally. The only thing you pay for is the world phone itself, delivery and the calling fees. My Mobal World Phone was a great peace of mind for our trip to Italy. I was able to call my parents on their 60th anniversary as well as my father on Father's Day. Additionally we were traveling with four other couples and the phones made it very easy for us to reconnect while in larger cities. The Mobal International Cell Phone is the convenient option for people who don't already have a usable phone. It works in 190 countries and comes equipped with a SIM card. As a CDMA user from Verizon, I had to rent a phone and paid $4 a day and $2 roaming charge to be able to communicate with my key contacts. After investigating and reading the recommendations from the leading magazines and web reviews, I decide to go for Mobal. Not only it is economical, it also brings a lot of convenience to me. I do not have to buy a sim card and worry about the unused minutes waste. I also saved the rental fees because I own the phone instead of wasting money on my rental. If you are planning to go overseas, it works out cheaper to buy The Mobal World Phone, rather than renting an travel cell phone. I got my Mobal International Cell Phone for a business trip to Australia. It's easy to use as there is no frustration as with trying to use a calling card from a hotel room, so the connection to "home" is always available. The peace of mind it provides is priceless. Unlike many other phones, the Mobal GSM World Phone works well in over 190 countries, and you never need to change the SIM card. I recently used the phone easily (very easily) when calling the USA from Italy, France, Spain, and Croatia. Hotels often charge high prices to use their phones, so I liked not to have to buy a calling card or even look for a pay phone. Having family members able to call you is also good for those of us with aged parents or children back home. I just want to say that I purchased my Mobal World Phone in the beginning of December and used it for the first time on a trip to Grenoble, France the week of December 11th. It worked flawlessly and I was very pleased. It certainly saved a lot of time searching out pay phones and having to pay for phone cards. The lowest price I have found for a GSM world phone is through Mobal. There are no monthly or annual fees and unlike prepaid SIM cards, call charges are per minute in $US and are debited from your credit card. One other thing stands out at Mobal. Mobal has ALWAYS been above par in that department. I've only been with Mobal a short time, but it has been long enough to make that conclusion. Mobal's real people always answer me with the information I want. Rarely indeed do I have personal and informative e-conversations with a merchant's representative as has been the case with Mobal on more than one occasion. That familiarity is very valuable and not at all the norm. You do great, and you can tell your boss I said so! The good news is that thanks to technology, staying in touch with home while vacationing in foreign countries can be easy. If you want to have the phone before you go, you can buy a Mobal World Phone (other companies are renting phones for about $29 per week), and then charges by the minute. It can be cheaper than a prepaid SIM card because you are charged only for the minutes used. With prepaid SIM cards, unused minutes often aren't refunded! It was 2am in China and I had to call back to the USA for an important call. I was out at a club and they were just closing. I made the call with my Mobal World Phone and the meeting went well. When I got back to the states, I had to go to Florida and visit that same client. They loved the stories about China but the odd thing they remembered was that the call was soo clear that all they could think about was the Chinese they heard in the background and not what I was saying. I guess when the call is too clear, you are not really heard, but I am glad to say it was clear and all went well. Our best tip is The Mobal World Phone. The best thing is that you can give your cell phone number out to loved ones back home, so when you are traveling and they need to get hold of you they don't have to worry about what hotel you are in, or what city you are in, or even what country you are in. They just call your Mobal World Phone. Just thought that I would drop you a short note to let you know that having our Mobal World phones with us on a recent trip to Ireland was really a lifesaver. We arrived in Dublin in a driving snowstorm but our luggage didn't. The airline said that they would ship it to where we would be staying. Since we were traveling and staying in Bed & Breaksfast inns, we couldn't give them a definite address. We were able to maintain contact with the airline personnel (and vice-versa) through the use of our Mobal World Phones during our travels. We really would have been lost without them. The luggage finally caught up with us several days later at B&B that we were able to reserve in advance, once again by using our Mobal World Phones. The Mobal World Phones will be a necessary part of our travel needs on all future trips. This Mobal World Phone is a winner. In my view it is head and shoulders above phone cards. What a luxury to be on a ship going down the Nile and be able to make a international call (clearly heard on both ends). After doing a bit of research we learned that Mobal's travel cell phone prices ranked the lowest. We think that Mobal's travel cell phone is the most cost-effective way to stay in touch with friends, family and co-workers in the US while traveling abroad. I recently purchased 2 Mobal World Phones to be used by guests attending our daughters wedding in Italy. For example; one of the bridesmaids had never been out of the USA and was very nervous about traveling on her own. She experienced flight delays, lost luggage, she had no experience taking a train, and the hotel lost her confirmed reservation. Having the Mobal World Phone not only made it easier to notify others of the delays and changes in her plans but allowed her to talk to and receive reassurance from friends. For a novice traveler being able to talk to friends was her lifeline. My Mobal World Phones were definitely my best travel accessory purchase ever. I will not travel again without a phone. I was recently in the darkest of South Africa on a game reserve in a high end luxury lodge without TV, radio or telephone, but I had my Mobal World Phone and called my wife at home in Santa Cruz. I used my Mobal World Phone all over South Africa without any problems what so ever. Attached is a photo of me on an evening safari…it was so cold you didn't want any square inch of your body exposed…thus the blanket and sunglasses at night. My wife and I took a Mediterranean cruise this spring for our 25th wedding anniversary. There was a seven hour time difference from Italy to Baton Rouge, Louisiana where our girls were going to college, so we made several calls to them in the evenings Italian time. The picture attached is calling one of our daughters from the Saint Mark's Square in Venice while we listened to the cafe's orchestra in the back ground. My daughter was very jealous! We carried our Mobal World Phone during all our excursions. I also used the alarm feature as our alarm clock while on the boat and as an alarm to tell us when it was time to meet up with our tour groups, etc. We were very impressed with the areas of coverage, quality of the reception and voice clarity. It is much better than our cell phones we use everyday in Tennessee. Thanks for making a great and affordable product! I love my Mobal World Phone. I got it to use on a trip to China. My fellow travelers had a bunch of phone cards that didn't work most places. There NEVER was a place I could not call from and reach home -- clear as a bell. I'll be taking it in June to Ireland. We just completed a hiking trip in Ireland. On a remote headland, we posed with the Mobal World Phone which was invaluable as it enabled us to check voice mails and receive communications even in these isolated locations. Unlike calls, which are billed by their duration, cellular data is charged by the amount of data that is transferred over the cellular network, both to and from your phone/device. This data is charged to you in units of 1 kiloByte (kB). There are 1,024 kB in a MegaByte (MB). As a very rough guide, the following table should give you some idea of the amount of data that may be transferred in the process of performing certain data-consuming activities. These are estimates only; actual amounts of data used may vary significantly. All cellular data usage is chargeable. This includes, but is strictly not limited to, Web browsing, sending and receiving email, updating or viewing social media (such as Facebook/Twitter), watching videos (YouTube, etc. ), downloading or listening to music, using VoIP calling services, downloading and using apps, and so on. Using VoIP services (such as Skype and Google Voice), any form of “streaming” (audio or video) or “tethering” your device to a PC and so on is likely to incur very significant cellular data charges. Note that apps that are advertised as “free” are only free to purchase; they will still incur cellular data charges when they are downloaded. Note also that many apps may automatically use data in the background without your knowledge. Some devices may automatically transmit and receive data without any user action or knowledge. This may result in significant unexpected cellular data charges. Applications such as push email, news and weather updates, location services and many downloadable apps (even free ones) may do this. This list is not at all exhaustive; therefore, to avoid unexpected bills, we recommend that you take great care to disable automatic applications on your device. If you wish to avoid such charges, it is your responsibility to ensure that your device is correctly configured. We cannot be held responsible for cellular data charges generated by your failure to control your device’s actions. To avoid the chance of significant data costs we advise that you use a WiFi connection whenever one is available. The Mobal World SIM Card works in all of the countries in the following list, as long as your handset is compatible. Our president promises a Money-Back Guarantee to our customers. If you're not totally delighted with your Mobal World Phone for any reason, you can take advantage of our Money-Back Guarantee and return it for a full, prompt, no-hassle refund. Buy a Mobal World Phone today and we'll pay for your shipping. All Mobal World Phones come with the SIM included. Some travel phone providers charge customers extra to purchase the SIM card as well as the cost of the handset. If you're choosing the Classic, Basic, Deluxe or Android options, the Mobal World SIM card is included for FREE and doesn't need to be purchased separately. We’ll Send You 5 Travel Adapters, Worth $25. Order Today! The set contains 5 high-quality electrical adapters, so you can charge your phone in any country in the world. The adapters come in a sturdy carrying case. You can also use the adapters with chargers for your other electricals, such as your tablet, your laptop, your digital camera or even your iPod! The set is essential for any world traveler. Also, will you travel to any of the following countries in the future? Argentina, Bahamas, Barbuda, Belize, Bolivia, Canada, Chile, Columbia, Curacao (NL Antilles), Dominican Republic, El Salvador, Ecuador, Guatemala, Hawaii, Hispaniola (Dominican Republic), Japan, Mexico, Nevis, Nicaragua, Panama, Paraguay, Peru, Puerto Rico, South Korea, Uruguay, USA. ...although the Basic phone works in over 170 countries, it will not work in those listed above. If you need coverage in these countries you'll need to upgrade to our Classic phone for just $40 extra. Argentina, Bahamas, Barbuda, Belize, Bolivia, Canada, Chile, Columbia, Curacao (NL Antilles), Dominican Republic, El Salvador, Guatemala, Hawaii, Hispaniola (Dominican Republic), Mexico, Nevis, Nicaragua, Paraguay, Peru, Puerto Rico, Uruguay, USA. Check out our simple diagram explaining how your Mobal World Phone will work on a cruise ship. Which size SIM do you need? There are three different sizes of SIM available - Standard (also referred to as Mini), Micro and Nano. Please choose your SIM depending on which device you have. This is the 'regular' size SIM that fits in hundreds of phones. It is the largest of the three SIM Cards. This is the smaller SIM designed for phones like the Samsung Galaxy S3/4/5 and Apple iPhone 4 and 4S. A Nano SIM is the smallest type of SIM and is suitable for use with with iPhone 5, 5C, 5S, 6, 6 Plus and iPad mini. Save up to 66% on Mobal calls in Europe with our affordable call bundles. As a Mobal customer we’re giving you the opportunity to save up to 66% on the cost of your calls in Europe by taking advantage of our great value call bundle packages. To save money on your calls in Europe simply add one of the call bundles to your order, if you do not wish to purchase a call bundle simply click ‘Continue with original order’. All of our call bundles last for 30 days from activation so let us know the dates when you are traveling and we will make sure that your package is active for your trip. When you have used up your call bundle, your Mobal Phone will stay connected. Calls will simply charge to your credit card at the standard rate (unused minutes are non-refundable). Never pay full price for your calls in Europe again and buy a call bundle today. Stay connected when your credit ends when you have used up your call bundle, your Mobal Phone will stay connected. Calls will simply charge to your credit card at the standard rate (unused minutes are non-refundable). Multi-sized SIM - Fits any device. Your new SIM card will work in any unlocked phone. The SIM is multi-size (Standard, Micro and Nano size) to fit any device - no need to worry about which size you need! Your Mobal SIM Card has a UK phone number. Your number never expires – it is yours for life! It will work wherever you are in the world! The US number (+1) will be really useful for friends and family back home to contact you on when you are traveling at an affordable rate (rather than an international call rate). The Mobal Talk & Text SIM will work in all "unlocked" GSM cell phones. You just need to check that your GSM cell phone works on the correct frequencies for the countries you are visiting. When you pick a country from the list, the GSM frequencies needed for that country will appear underneath.